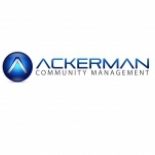 Ackerman Community Management Is A Full-service Property Management Company In Naples Florida. Our Primary Goal Is To Help You, Your Fellow Board Members, Your Loved Ones And Your Neighbors Enjoy Life In An Attractive, Peaceful, Smoothly-running Community With Minimal Effort At Minimal Cost. Ackerman Community Management in Naples is a company that specializes in Real Estate Agents And Managers. Our records show it was established in Florida.